As a dietary supplement to maximize pre-workout energy, mix one serving (1) scoop in 6-10 ounces of ice cold water about 10-20 minutes prior to your training session. Do not exceed more than two (2) servings in a 24 hour period. 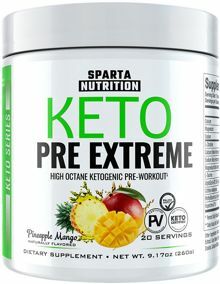 Sparta Nutrition Keto Pre-Extreme - High Octane Ketogenic Pre-Workout! Keto Pre Extreme is an ultra-premium powdered exogenous ketone based pre-workout supplement. 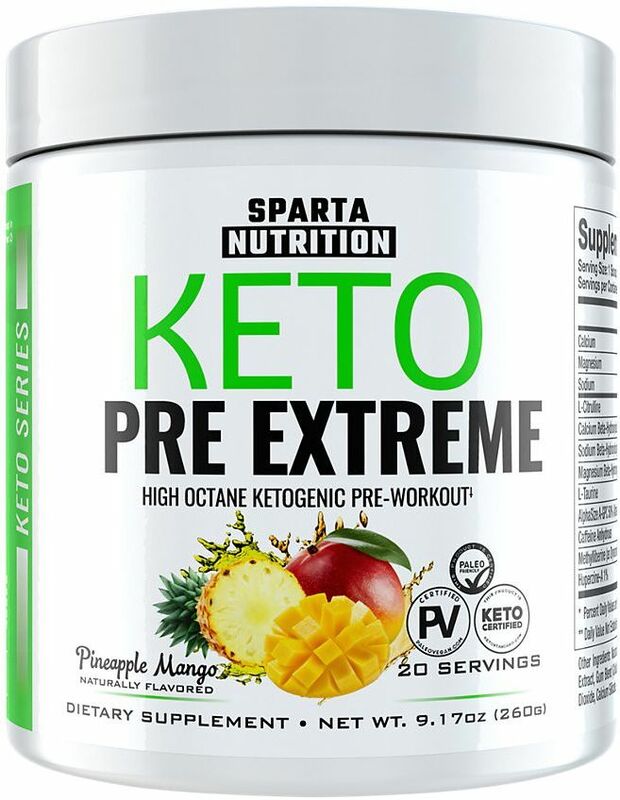 Designed to be the ultimate exogenous ketone plus energy and nootropic boosting product, Keto Pre Extreme helps expedite your body’s switch to using Ketones as fuel and then ignites your workouts to never-before-seen levels with an intense energy, focus, and endurance boost that you have never experienced before.